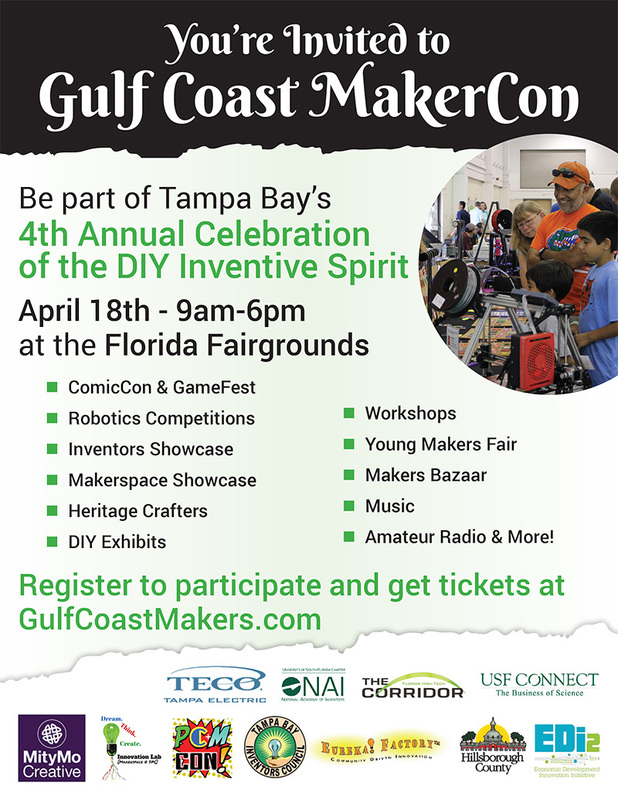 There are lots of great media opportunities at Gulf Coast Maker & Comic Con, from inventions and art to electric race cars, blacksmithing, ham radio, 3D printing, robots and more! Contact us for press passes, and for interview and photography appointments. Click image for full event interviews by PLuGHiTz Live Radio.